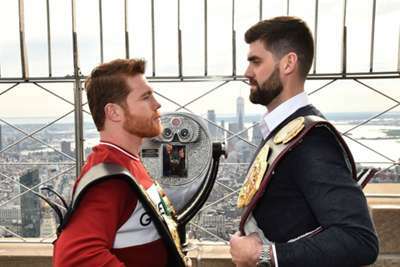 Former England captain Wayne Rooney is hoping Rocky Fielding can pull off a huge shock and take down Saul 'Canelo' Alvarez on Saturday. Canelo will step up to super middleweight to face Fielding, the WBA 'regular' champion, at New York City's Madison Square Garden. And Rooney, who now plies his trade in the United States with DC United, is backing fellow Merseyside native Fielding as he defends his belt. In a video message posted on his Twitter page, Rooney said: "Alright, Rocky. I just want to say a massive 'good luck' in your fight against Canelo at Madison Square Garden. "The whole of Liverpool is behind you and we're proud of you. All the best, mate."